We are very proud to announce that all our three hotels Goldcity Tourism Complex, Sentido Gold İsland, Sentido Golden Bay are receivers of the Travelife Gold award. 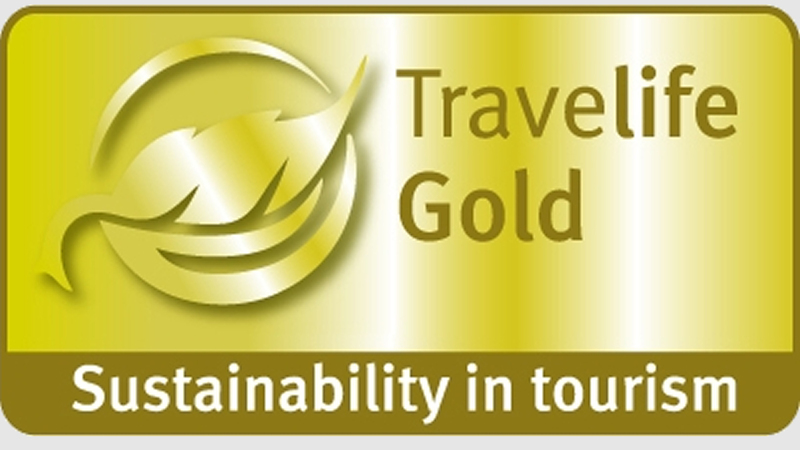 The Travelife certification is an internationally recognised award scheme for hotels and other tourism related business which have attained high standards of environmental management. Hotels that wish to take part in this process are independently audited and classified according to their performance. Top performers are rewarded with a Travelife logo. The UK federation of Tour Operators (FTO), The Dutch Tour Operators Association (ANVR), The Association of Belgium Tour Operators (ABTO) and the German Forum Anders Reisen (FAR) Hotels & apartments in destinations worldwide are making efforts to ensure that their properties obtain a Travelife award. This award requires the compliment of numerous criteria and measures such as environmental purchasing policies, recycling, energy & water management as well as the implementation of a corporate social responsibility towards employees and the local community in which they operate. We would like to say a huge thanks to all of our employees who contributed us this award.